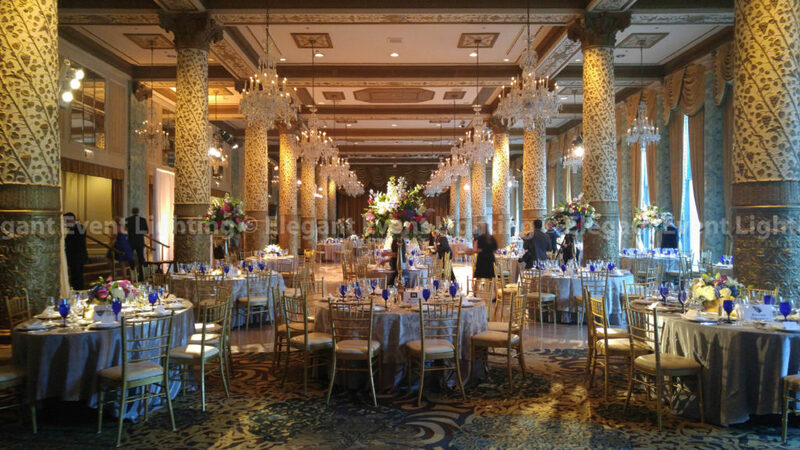 Elegant Event Lighting loved working with Erin and the team at Revel Décor on their client’s Drake Hotel Wedding on Saturday, July 16th, 2016! 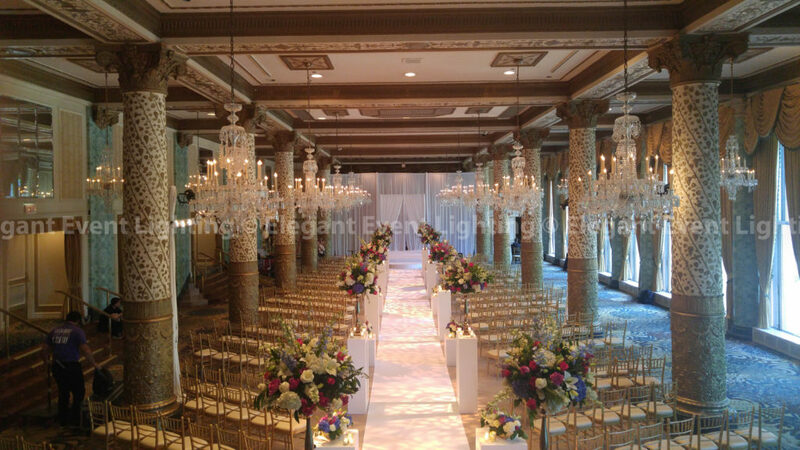 The custom ceremony lighting and décor design began with a straight pleated white fabric backdrop that adorned the ceremony altar in the Gold Coast Ballroom. The bride made her grand entrance down a 100 foot long white fabric aisle runner that was accented with textured pattern lighting. Elegant Event Lighting also designed a simple, elegant fabric arch which provided the perfect backdrop for the exchange of vows. EEL Chicago also covered the stage and half moon steps in white fabric to match the other ceremony décor elements. To complete the ceremony design, the backdrop and arch were illuminated in soft white uplighting and the stage was softly lit with wash lighting for the viewing pleasure of the couple’s guests. For the couple’s reception, each of the floral table centers were accentuated with pin beam lighting! 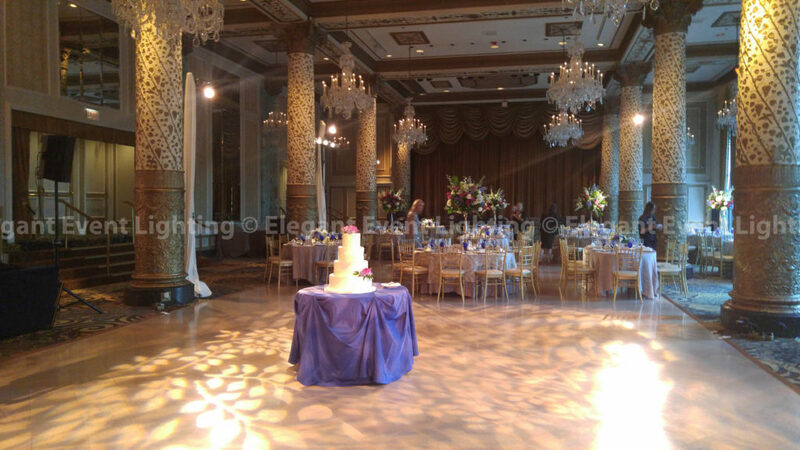 The EEL Chicago Team also added depth and texture to the dance floor with a beautiful, floral pattern lighting design! It was a pleasure working with Erin to transform her couple’s lighting and décor dreams into a reality for their big day!